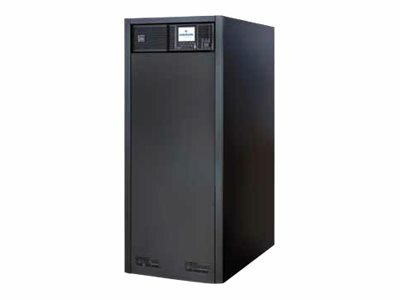 Vertiv NXC 20KVA NO BATT. The Liebert NXC offers reliable and flexible secure power in a fully integrated package solution. Its highly efficient transformer-free double conversion technology delivers installation and running cost savings. Liebert NXC achieves high efficiency in double conversion mode, thus ensuring effective load protection, while reducing the total cost of ownership (TCO) and environmental impact. Liebert NXC spacious internal architecture is able to house diffrent battery strings which results in a backup time and virtually eliminates the need for an external battery cabinet.